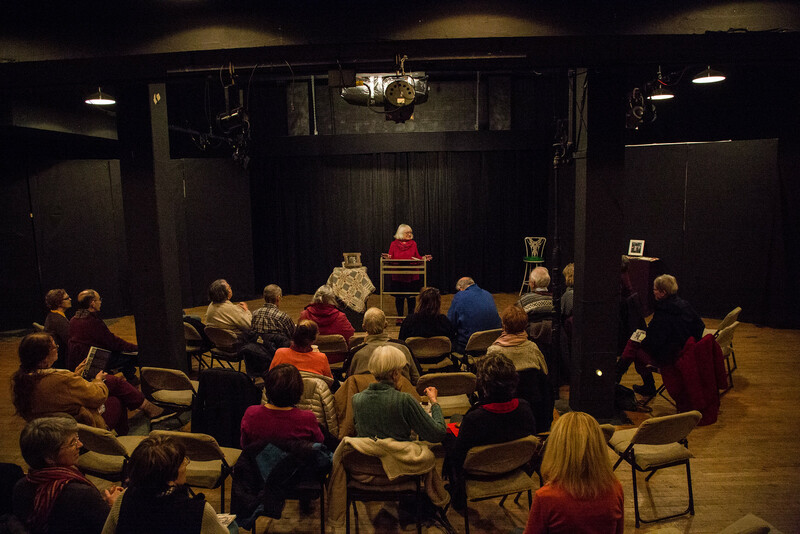 Mary Lucille Deberry read from her new book, Alice Saw the Beauty Saturday, January 10th. Lori Wilson introduced her to the many who were in attendance. 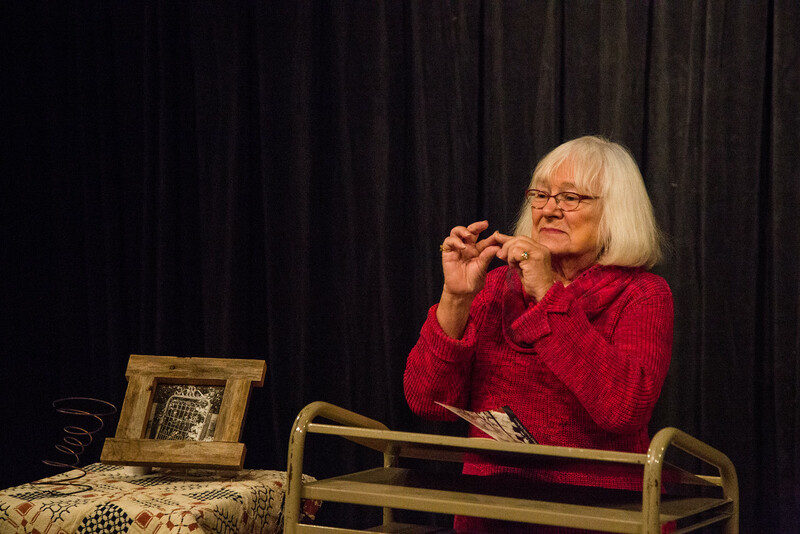 Mary Lucille gave credit to the audience members and spoke about the workshops and classes which had given life and refinement to the poems within this new book. She read Under the “Turtle Bush,” The Garden, and “Carnation, Lily, Lily, Rose” the latter one with one of my favorite lines -So many times that beauty/ grows familiar. If you are not a gardener, or familiar with flowers, after her reading you were sure to look up the flora she described. Populore Production provided production services for this book. Mary Lucille decorated the backdrop of her reading. Beside her where she read from her podium a quilted blanket upon which the bed spring and a wooden framed photograph of a gate stood. She referenced the sepia picture of the gate as she began to read Swinging On It. So many of her poems remind me of prayer -the soft chanting, the turn of the earth, the images of scrolls of flowers and gates, her memories and forget-me-nots. 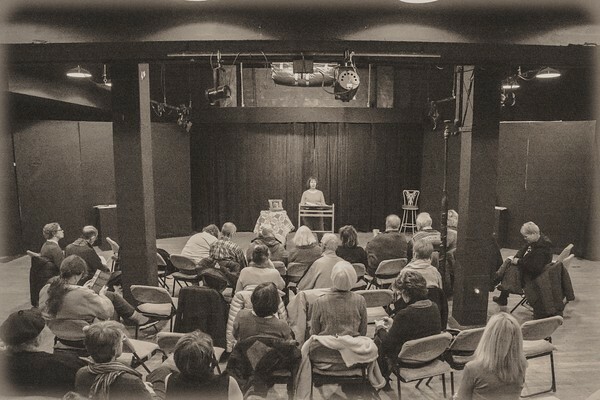 She kept us warm in her poems that welcomed spring as we all sat in the theater on a ten-degree January day. Snow Days in West Virginia (January 8, 2010) received an automatic applause as she concluded her poem naming every county in WV. 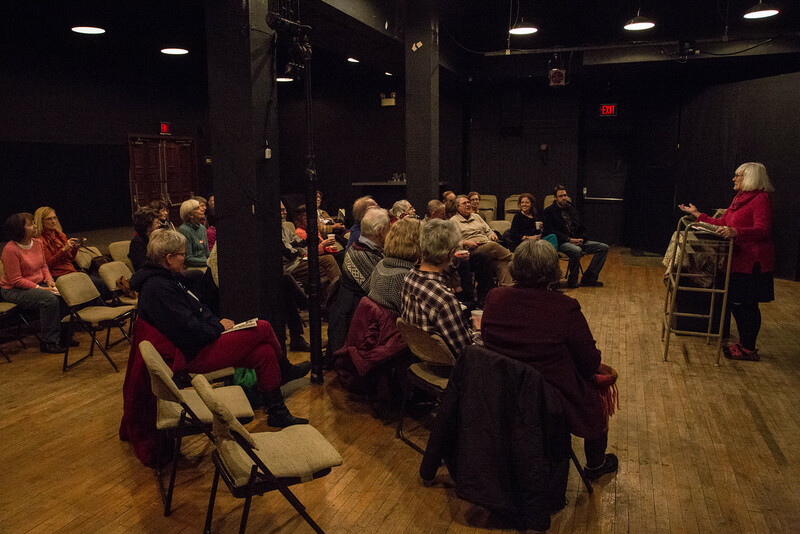 Thank you to everyone who attended, and thanks to Mary Lucille for sharing her beautiful work with us! It was a lovely afternoon of celebration.